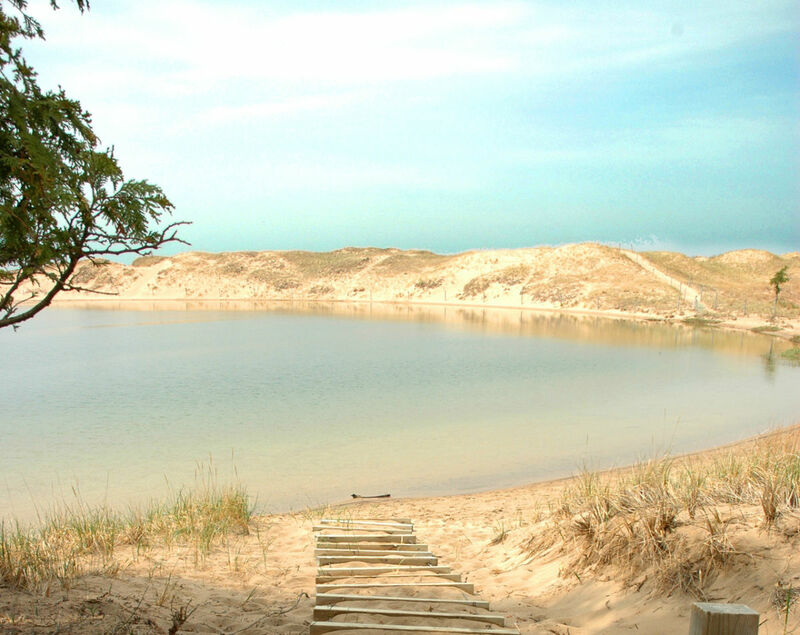 North Bar Lake Beach is one of the most popular beaches in the Sleeping Bear Dunes National Lakeshore. 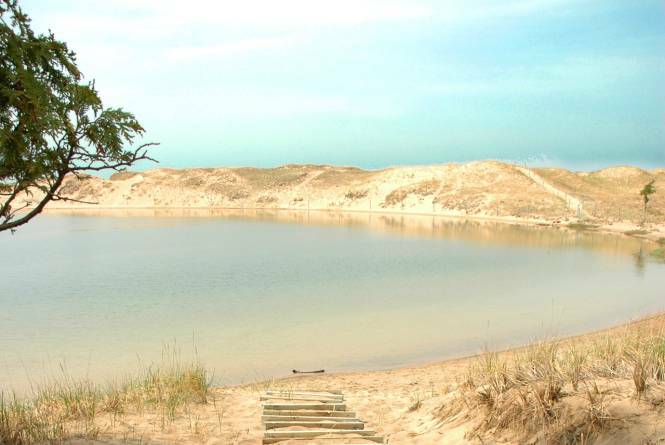 The lake connects to Lake Michigan and is often warmer because it is shallow and has a sandy bottom. The beach area is a favorite among families with small children.